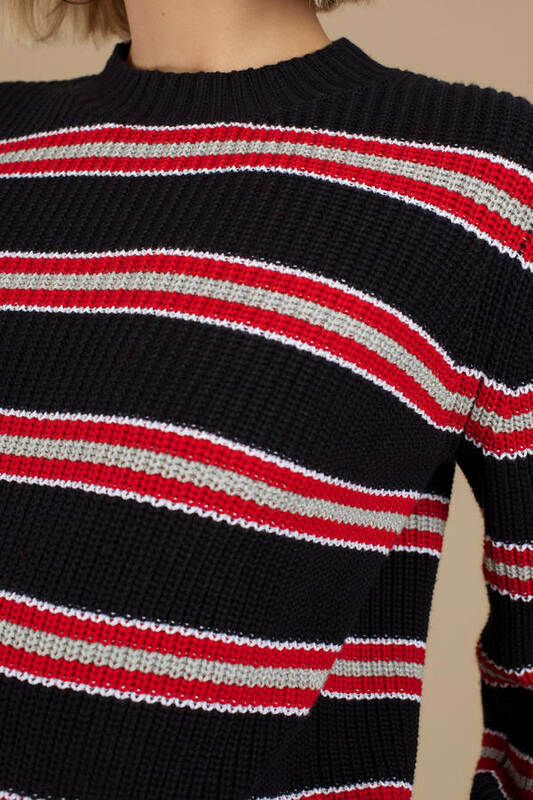 Check out Tobi's Defense Stripe Knit Sweater Sweater weather is here. 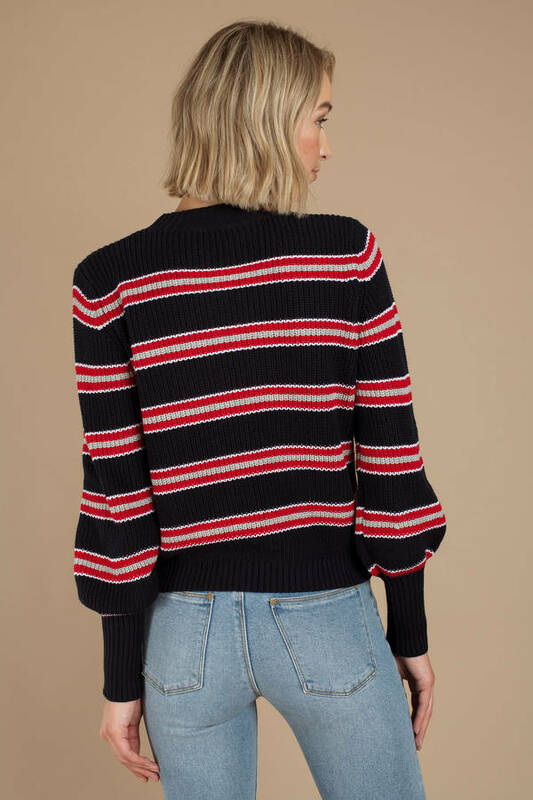 Cozy up in The Fifth Label's Defense Navy Multi Stripe Knit Sweater features long tight cuffs, a crew neckline, slouchy sleeves, and a fabulous stripe print. Pair this cool pullover with distressed denim and pointed boots. Doin' sweater weather right! Sweater weather is here. 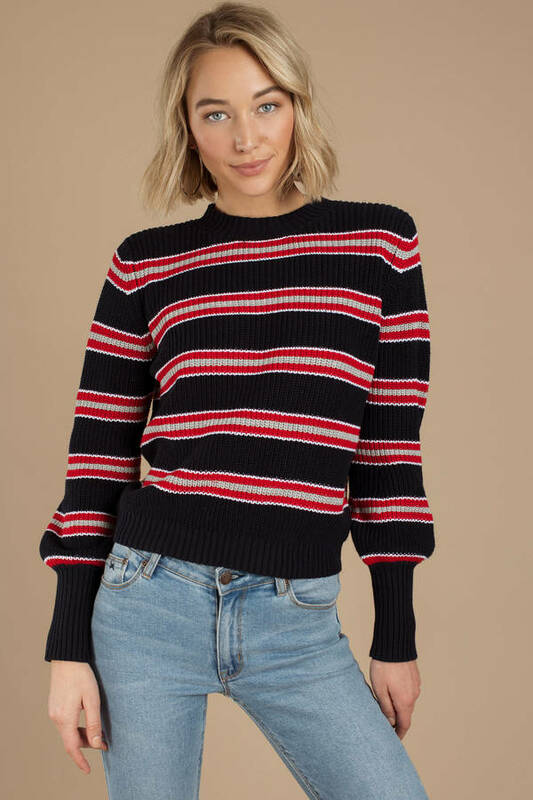 Cozy up in The Fifth Label's Defense Navy Multi Stripe Knit Sweater features long tight cuffs, a crew neckline, slouchy sleeves, and a fabulous stripe print. 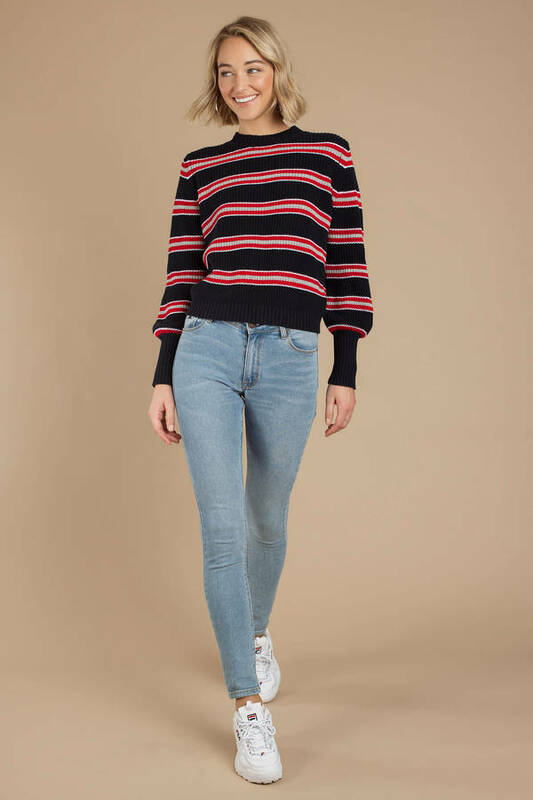 Pair this cool pullover with distressed denim and pointed boots. Doin' sweater weather right! Navy Multi modeled on a size Small.